This paper presents new estimates of the development of the urban population and the urbanization ratio for the period spanning the Song and late Qing dynasties. Urbanization is viewed, as in much of the economic historical literature on the topic, as an indirect indicator of economic development and structural change. The development of the urban system can therefore tell us a lot about long-term trends in the Chinese economy between 1100 and 1900. During the Song, the level of urbanization was high, also by international standards—the capital cities of the Song were probably the largest cities in the world. This remained so until the late Ming, but during the Qing there was a downward trend in the level of urbanization from 11%–12% to 7% in the late 18th century, a level at which it remained until the early 1900s. 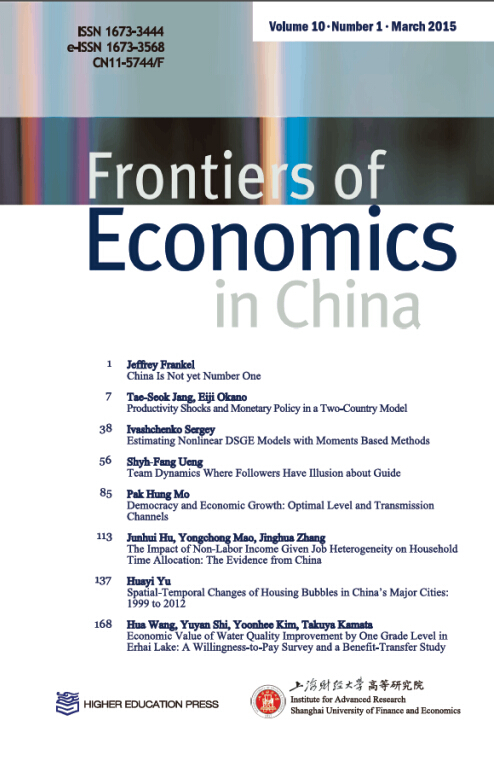 In our paper we analyse the role that socio–political and economic causes played in this decline, such as the changing character of the Chinese state, the limited impact of overseas trade on the urban system, and the apparent absence of the dynamic economic effects that were characteristic for the European urban system. This paper studies the cross-regional variation of interest rates in China in the 1930s. Based on county-level data from the Buck (1941) rural surveys, we examine factors that may have influenced rural interest rates in pre-1949 China. Since the quality of institutions that define property rights and facilitate contract enforcement is important for such transactions as land tenancy arrangements, we treat land tenancy rate (or percentage of owner-farmers) as a proxy for institutional quality. Contrary to the popular belief among historians and economists that usury or high interest rates caused persistent poverty, we find that while the monopoly-exploitation hypothesis has little explanatory power, a region’s institutional quality and income level are persistent and significant determinants of interest rates. Thus, poverty is a key driver of high rates of interest. Economic growth and the development of market institutions are crucial for lowering high interest rates and combating usury. Despite the lack of political accountability, ancient autocracies maintained a level of monetary stability that rivals modern democracies. This paper hypothesizes that it is the threat of counterfeiting that has constrained currency debasement. Unwilling to share seigniorage with counterfeiters, who are active only if currency is debased, the government refrains from debasement unless in extreme fiscal situations. To document the facts, we build a database of historical Chinese copper coins that covers the period from the Qin dynasty (221 BC–207 BC) to the Republic of China. We also use the introduction of the steam press in late Qing China as a natural experiment to test the theory. The steam press produced coins of fine patterns that counterfeiters were unable to mimic. As the theory predicts, the removal of the threat of counterfeiting triggered the most serious debasement in the history of the Qing dynasty (1644–1912). This essay aims to reconceptualize the monetary regime of late Qing and modern China as a multilayer system of currencies and examine the features and logics of its operation from the 16th century to early 20th century. We argue that this system consists of a variety of silver and copper currencies, each occupying a particular layer in the structure and each satisfying a specific market demand. Analyzing the production and circulation of copper and silver currencies, we first trace their evolution from the Qing to the Republican era and demonstrate the multi-layer currency structure persisted in China across the modernizing changes that took place at the end of the 19th century. 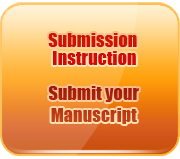 Second, using data drawn from gazetteers, this essay adopts a quantitative approach to empirically examine the mechanism and speed of interactions between the different layers of the monetary market and reveal the operational mechanism of the multi-layer system. We suggest that this multi-layer system, while bringing some efficiency loss, also constituted an effective institutional arrangement that helped to ensure the stability of the Chinese economy in tumultuous times. In this paper, we provide an empirical investigation of the purchasing power parity (PPP) hypothesis for China before July 1937. Using the monthly data from 1922 to 1937, we find clear and consistent evidence in favor of the purchasing power parity relationship. This naturally leads to the conclusion that the degree of Chinese market integration with the West was substantial before July 1937. These findings offer an empirical interpretation of the rise and fall of the Chinese price level during the Great Depression. It also has further implications of the impact of the American Silver Purchase Act of 1934 and the assessment of the 1935 currency reform on the Chinese economy. This paper examines the Chinese Shanxi piaohao, arguably the most important Chinese indigenous financial institutions in the 19th century. Concentrating on their business strategy, the study constructs a unique firm level set of data of the Rishengchang piaohao and explores the piaohao’s types of client, silver and drafts it dealt in, branch distributions, and terms to cash drafts. Besides this, this article also designs multiple linear regressions and identifies elements that determined remittance fees. My study reveals that, when establishing a new branch, the Rishengchang took the consideration of business conditions as its priority and gradually expanded from cities at prefecture level to those in counties and towns. A growth of business sites also led to an increase in the types of client, silver and draft it accepted. Moreover, as it developed, the interval for the Rishengchang to cash a draft shortened by half. When estimating the remittance functions, my study found that as the amount of silver being remitted increased, the length of time to cash a draft extended and as the average distance between two branches increased, the Rishengchang would charge more in remittance fees. “Commoners” and “gentry” would pay more than “firms,” while “other piaohao” would pay lower remittance fees. The drafts sent by telegram would also be much more expensive than those sent by letters or with papers. As the first detailed study on one of the most important and enduring firms in China, this work not only fills the data void where this subject is concerned, but also delineates the historical change of the piaohao’s clients, drafts, business territories and gives profound insights into the rise of the Shanxi piaohao. China’s banking industry experienced rapid growth during the free access era from 1911 to 1927. However, the reasons private banks were so successful then remain unclear, particularly when property rights were not well protected due to government intervention. Using archived Young Brother Bank documents, we describe the bank’s development from its founding as a family firm through its reinvention from a partnership into a corporation. We focus on organizational form choice and bank performance in this case study. We find that bankers in early modern China gain political connections by placing influential nonfamily members (often, acquisitive local warlords) on boards of directors because this protects them from the depredations of those warlords. This is a precondition for operating family businesses in unstable political circumstances.